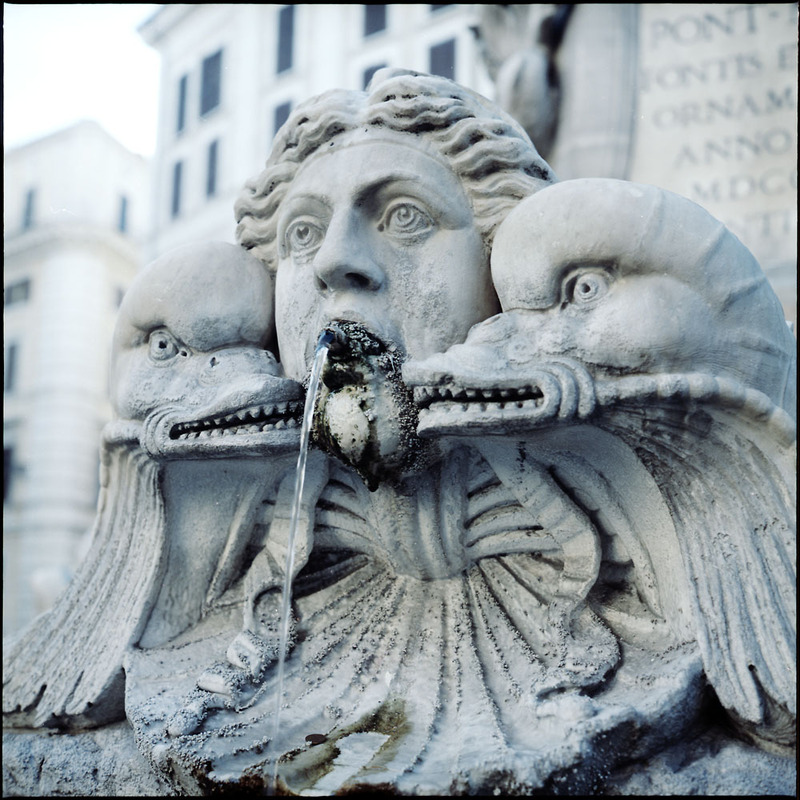 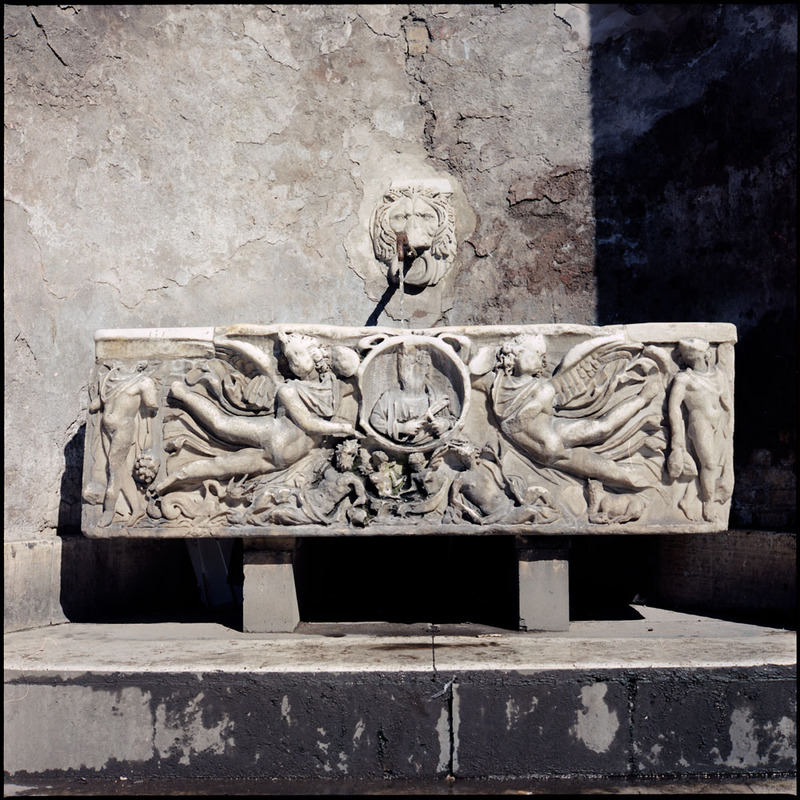 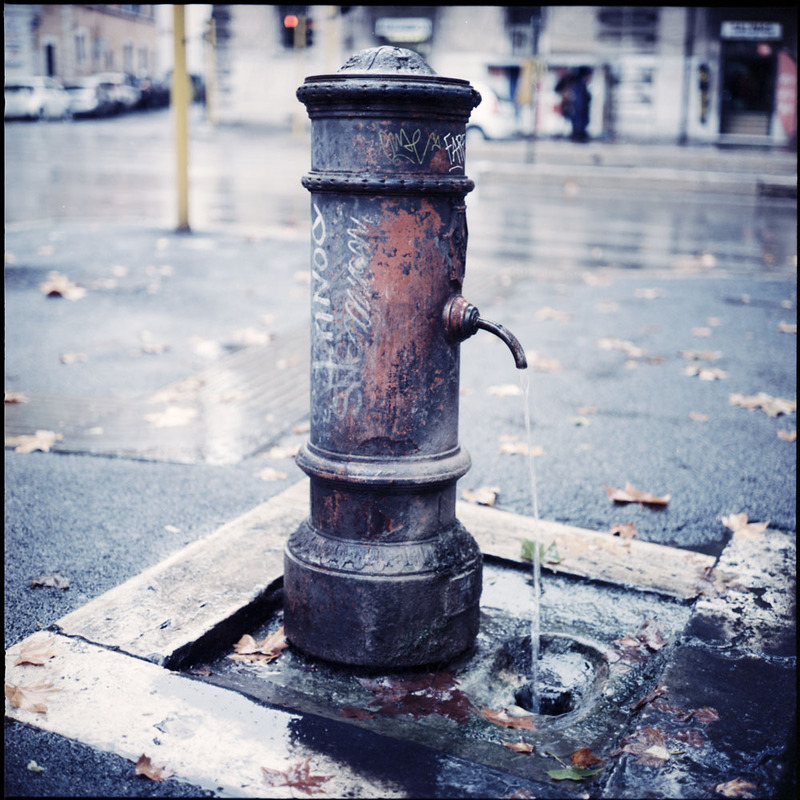 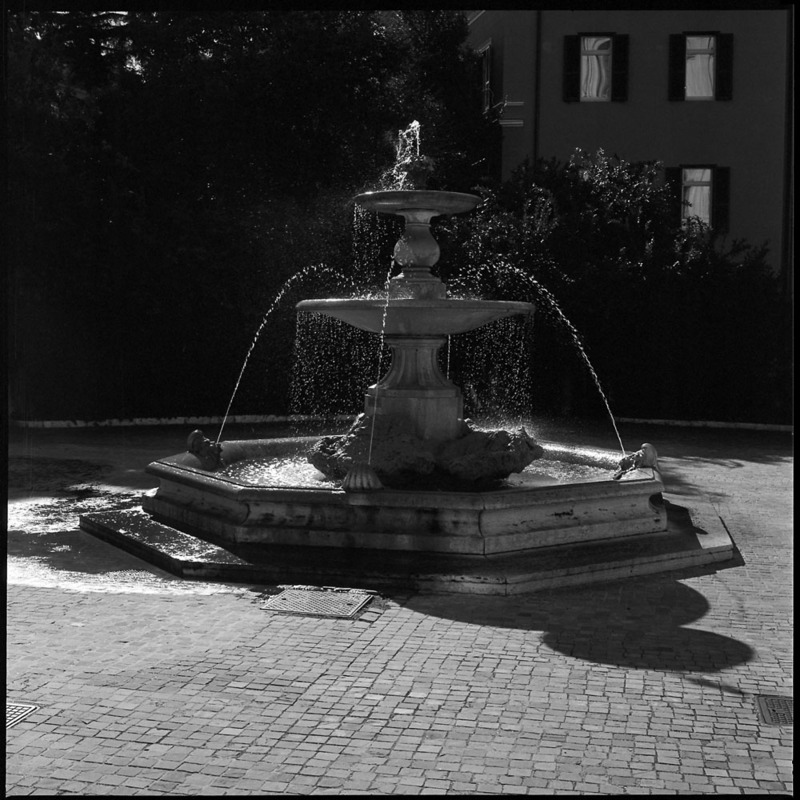 When I get finished processing all 79 rolls of film from this trip, I’ll have more of these to add, but until then, here’s a selection of public fountains. 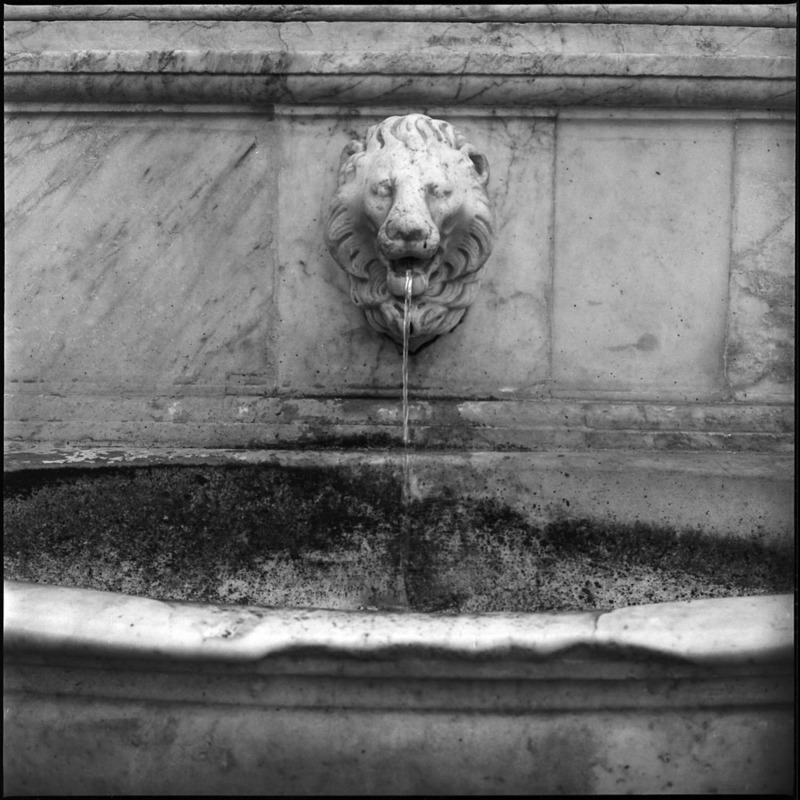 The Italians certainly love their water features and drinking fountains. 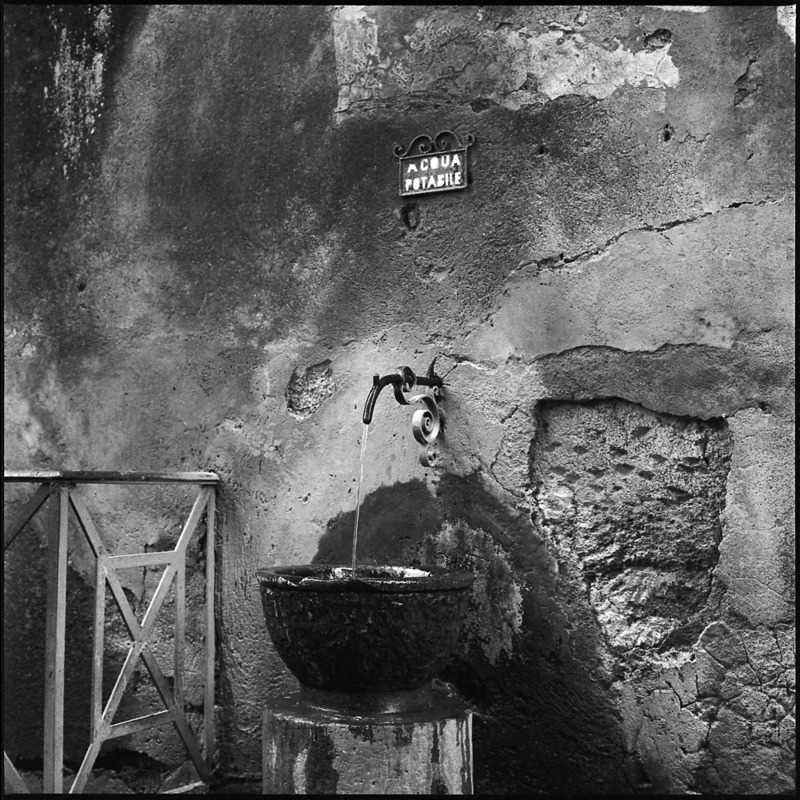 I’m certain I mentioned this before about the ancient fountain at the Colosseum, how you plug the bottom to get water to come out a hole in the top of the pipe so you don’t have to bend over to drink. 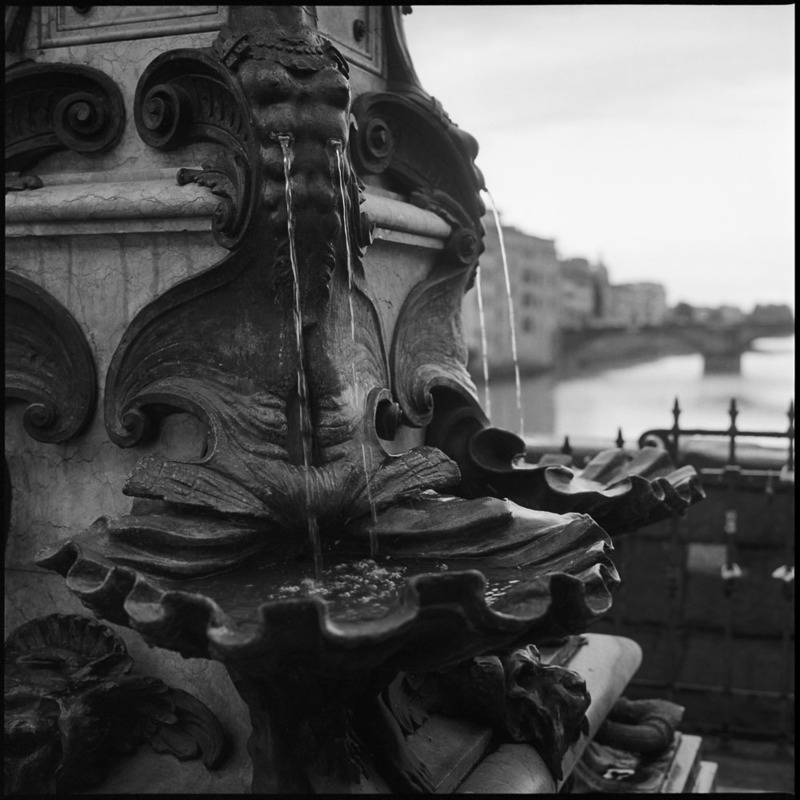 The Cellini fountain and memorial on the Ponte Vecchio. 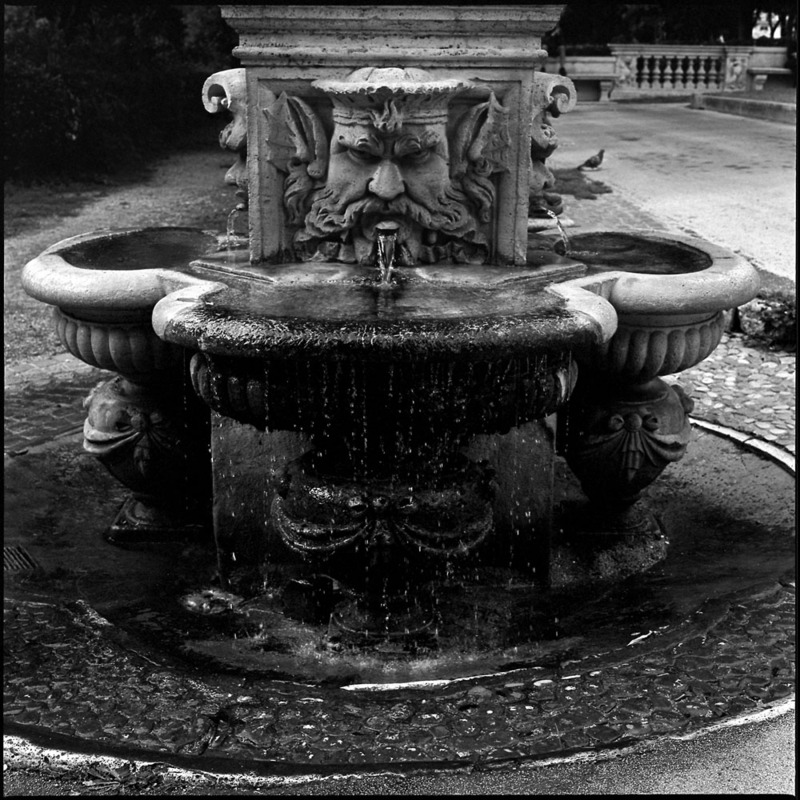 The interesting thing about it is that the fountain and memorial are 19th century, and their placement on the Ponte Vecchio is a little disingenuous.The bridge today is occupied by goldsmiths and jewelers, true, but in Cellini’s day, the Ponte Vecchio was home to butchers. 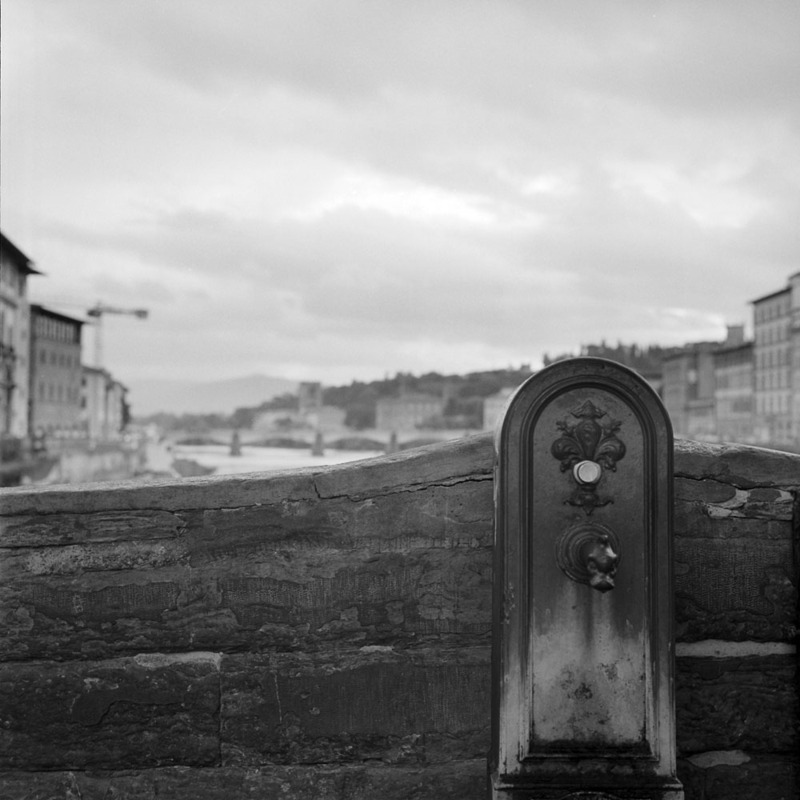 Other than picking up his Saturday prosciutto, he didn’t spend time on the bridge. 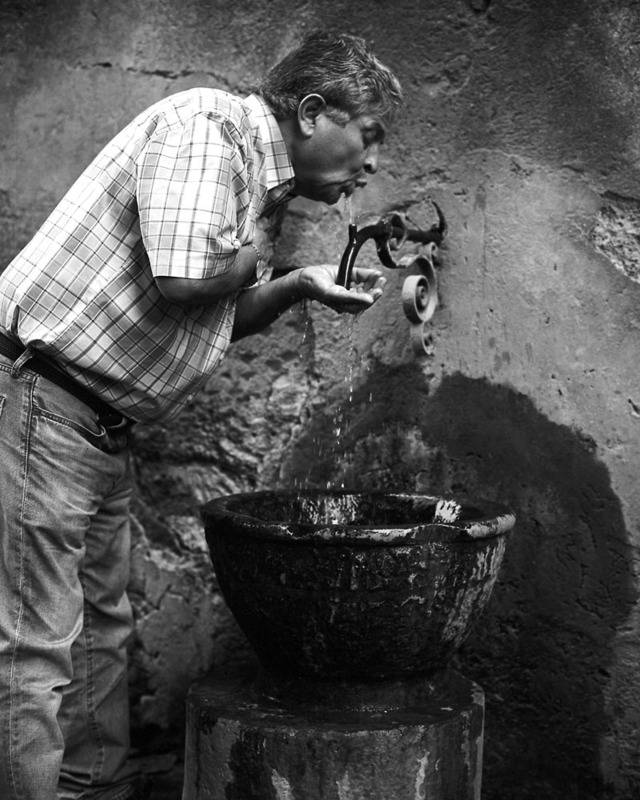 The modern day jewelers are just claiming inspiration from him. 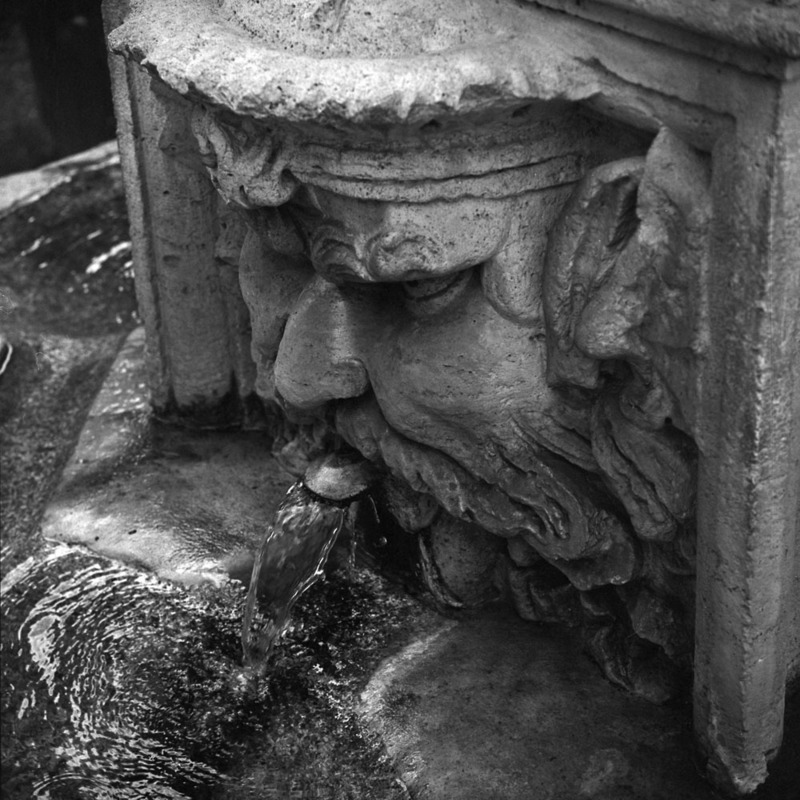 Another public drinking fountain, on the Ponte Vecchio, in Florence. 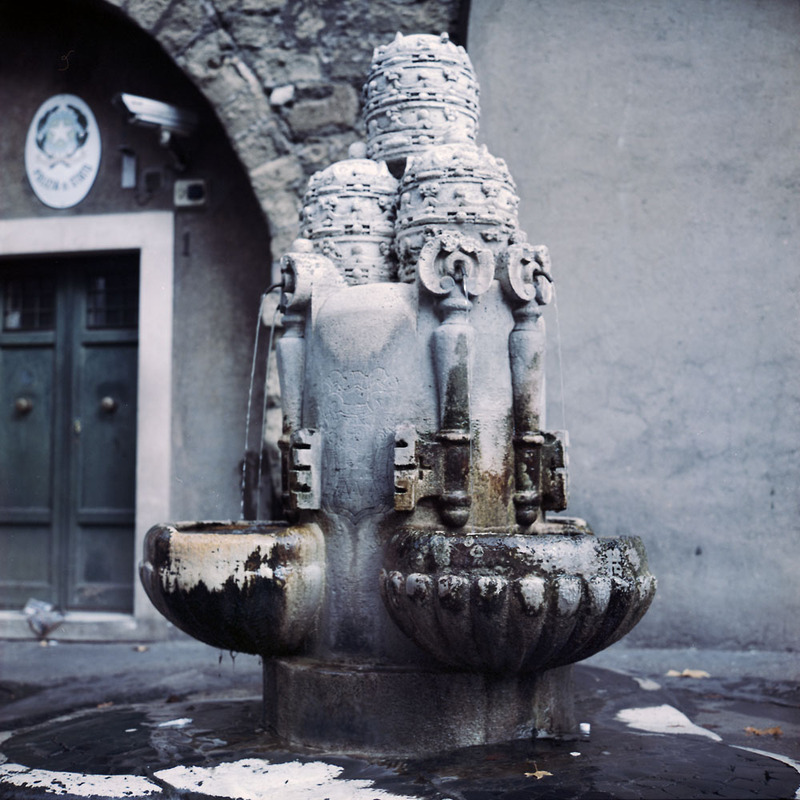 This one is actually a drinking fountain, whereas the Cellini monument is purely decorative. 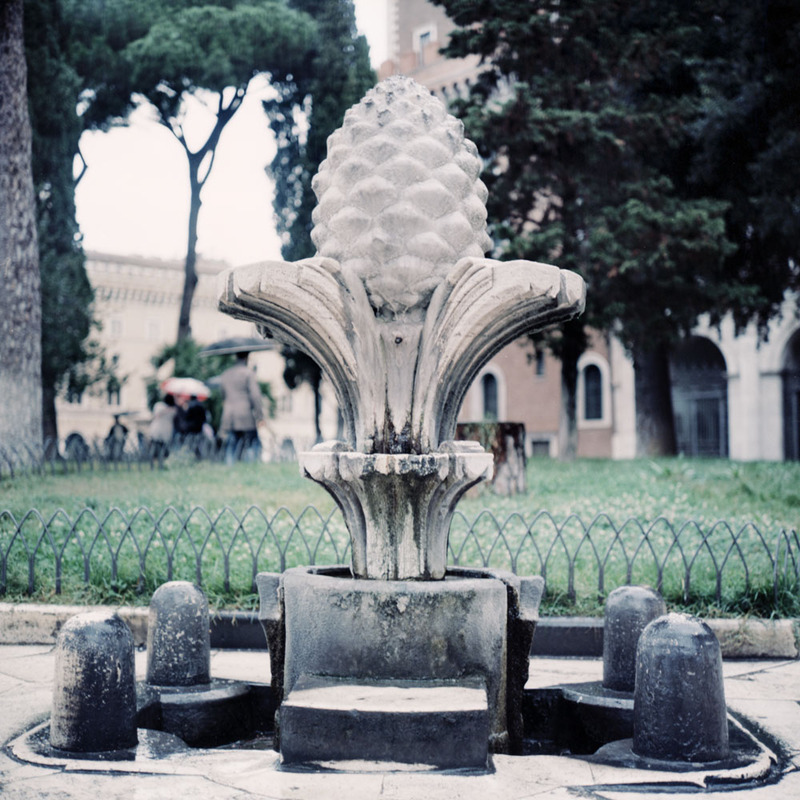 A fountain crowned with a pinecone finial in the Piazza Venezia, especially appropriate decoration as it sits beneath a canopy of the famous pines of Rome.